Property Management Archives - RIMA Con Ltd.
RIMA Con Ltd. has been providing its customers with a complete one-stop shop for all their driveway paving needs. 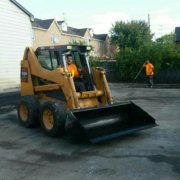 This means we undertake all the work associated with laying down a new driveway in commercial or domestic properties anywhere in Toronto. A newly decorated home is something that gives you the good feel and comfort. Investing on driveway paving is good decision that lasts longer and provides the clean and attractive entrance. It is what the visitors will see first while entering your home or office. If you are looking to attain the very best and classic driveway that is robust with very good finish then you’ve come to the right place. We are in this area from many years and have ability to design your driveway in such a way so that you can enhance the value of your property or can add new style. Rima Con Ltd. Commercial Asphalt & Driveway Paving Contractors serving Toronto, Vaughan & Mississauga Areas. 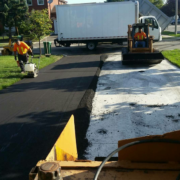 This blog is dedicated to providing our customers with exciting news and updates in our ongoing efforts to provide top quality commercial asphalt paving & concrete work to our clients. Keep in touch for the latest projects and relevant updates. Asphalt Vs Concrete For Your Driveway: What’s the Difference?